LONDON — Steven Gerrard is returning to Liverpool to coach in the Premier League team's youth academy. After an 18-month spell with the Los Angeles Galaxy, the former Liverpool captain retired from soccer in November but now he is back at the club where he spent 17 years as a professional — having graduated from the academy. "It feels like completing the circle; returning to the place where professionally it all began," Gerrard said Friday. "However, this isn't a decision based on emotion — it's about what I can offer and contribute to Liverpool. "I don't think I need to explain to people what this football club means to me, but when I knew coming back was a serious option I wanted to make sure it was a substantive role and a role in which I could really help the organization." The 36-year-old Gerrard made 710 appearances for Liverpool and is one of the greatest players in the club's history. Gerrard, who also captained England, will have a "wide-ranging role in the professional development phase of the young players," Liverpool said. The job will start next month and keeps Gerrard at some distance from first-team manager Juergen Klopp, who is trying to deliver Liverpool's first league title since 1990. "This gives me a great opportunity to learn and develop as a coach, while at the same time offering my knowledge, ideas and experience to the young players at an important period of their development," Gerrard said. Gerrard was one of the best midfielders of his era and won admiration for staying loyal to his boyhood club and resisting the riches offered by Premier League rivals. 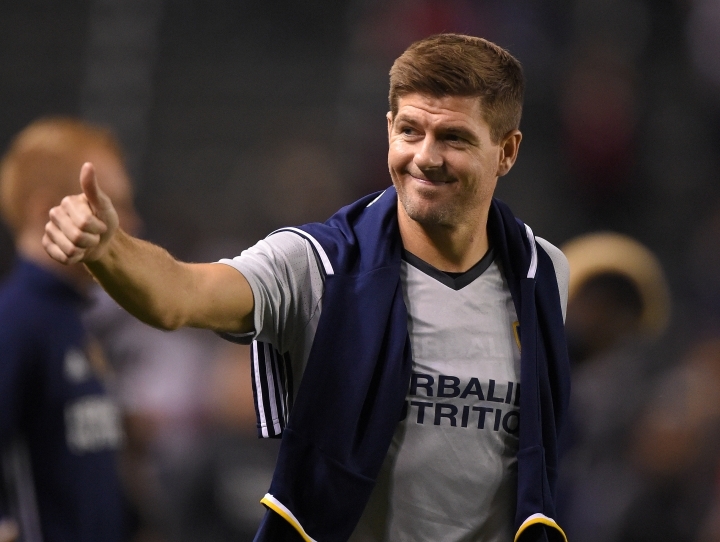 "If I was to pick one individual who embodies the characteristics and values we are looking to instill into our organization ... it would be Steven Gerrard," academy director Alex Inglethorpe said. "For him to have been so enthusiastic about being part of what we are looking to do is simply great news for everyone connected to the club. "I don't think it would surprise anyone to know that Steven has had a host of great options, in terms of what to do next in his career, including playing, management and coaching. But it's been evident from the first meeting with him that his heart and head belongs here." Gerrard only left Liverpool in 2015 after no longer being able to reach the formidable levels of his peak years and losing his place in the team. Now Gerrard is on the first step to potentially managing the first-team one day. "He has shown great humility in making it clear from the outset he wants a role where he can contribute to Liverpool," Inglethorpe said. "It's typical of him that his priority has been defining the role so it helps the club, ahead of himself. With Liverpool, Gerrard came agonizingly close in 2014 to finally landing the one club prize that eluded him: The Premier League title. Adding to the anguish, Gerrard's own slip against Chelsea contributed to a 2-0 loss that ended up costing Liverpool the title as Manchester City emerged victorious. But there were so many moments that went Gerrard's way. The biggest of them all came in Istanbul in the 2005 Champions League final. Trailing 3-0 at halftime against AC Milan, Liverpool was facing humiliation until Gerrard scored to begin a comeback that culminated in the club's fifth European title — won on penalty kicks. A year later in the FA Cup final, Liverpool was trailing 3-2 heading into stoppage time until Gerrard pounced with a long-range equalizer. Just like in the European final, the FA Cup was collected by winning a penalty shootout.